The craft will endure extreme heat while zooming through the solar corona to study the Sun's outer atmosphere that gives rise to the solar winds. 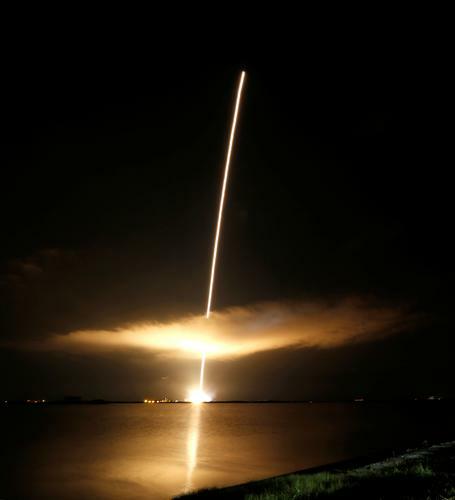 The Parker Solar Probe, a spacecraft the size of a small car, launched from Cape Canaveral in Florida about 3:30 a.m. Sunday, on a seven-year mission. It is set to fly into the Sun's corona within 3.8 million miles (6.1 million km) of the solar surface, seven times closer than any other spacecraft. The corona gives rise to the solar wind, a continuous flow of charged particles that permeates the solar system and can cause havoc with communications technology on Earth. NASA hopes the findings will enable scientists to forecast changes in Earth's space environment. The project, with a $1.5 billion price tag, is the first major mission under NASA's Living With a Star program. Reporting by Rich McKay; Editing by Mark Potter.